The Mississauga North Tigers defeated Brampton to earn the right to represent Ontario at the nationals. Tigers winning all day and all night. The Mississauga North Tigers and Brampton Royals are COBA rivals. Three times the Tigers and the Royals met during the regular COBA bantam schedule with Mississauga North winning 13-2, 6-0 and 14-0. So, who should wind up in the Ontario bantam elimination championship final at Clarkson Park in Mississauga? You guessed it: Brampton and Mississauga North. And the result in the eliminations was the same as the regular season as the Tigers scored an 11-1 win. The Tigers won the Canadian championships in Vaughan last year and they have a chance to repeat as national champs in Vaughan from Aug. 20-24. Mississauga North had not both the Ontario bantam eliminations and Canadian championships since 2002. The Tigers scored in the fourth on a bases loaded walk, a two-run single by Adam Hill, a two-run double by Matt Jenkins, and an RBI double by Cameron Wilcox. Ethan Hammond was 2-for-4, drove in one with a single in the first inning and double in the fifth. Brampton didn’t muster much of an attack against Ryan Douglas, who gave up two hits, walked three and struck out four during his three scoreless innings. Mississauga added three runs in the fifth as Hammond doubled and Noah Naylor hit a two-run single, giving him three on the day. The Tigers, coached by Chris Naylor, Cameron Hill, Karl Bent and Lino Feijo, scored six runs in the first three innings on their way to winning their opener 11-1 as Naylor hit an RBI double and Douglas a run-scoring single. Naylor knocked in four going 3-for-4, while Shunta Koyama and Matt Jenkins each had two hits and knocked in a run. Adam Hill pitched five innings striking out seven, allowing one earned run on six hits and no walks over five innings. 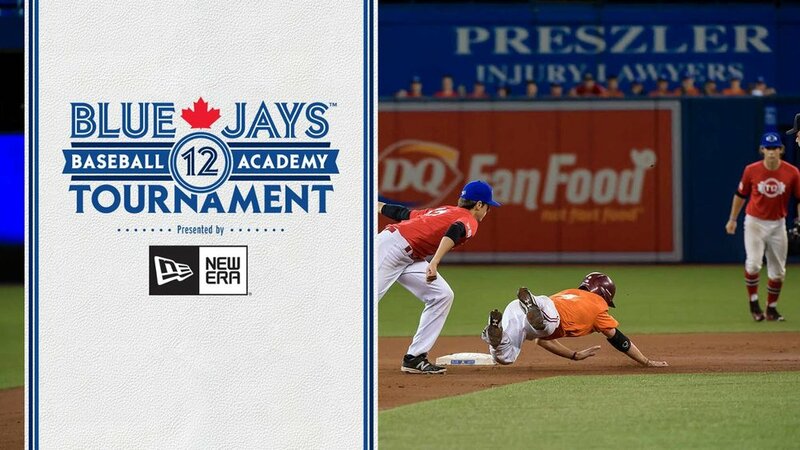 Koyama was part of the 12-hit onslaught as Mississauga North thumped the London Badgers 20-1 going 3-for-3, including a triple and a two-run single, with four RBIs, while Matthew Deen was 3-for-3 with three RBIs. Dean also picked up the win pitching three innings and fanning seven. The Tigers scored in the first on a run-scoring single by Blake Buckle, an RBI double by Jenkins, a two-run double by Deen, a fly ball by Ian Jordan, a two-run single by Koyama, an RBI double by Hammond, a two-run single by Naylor, a two-run double by Jenkins, an RBI triple by Cameron Wilcox, and an RBI double by Deen. Next, in what was their stiffest test the Tigers rallied late for the tie and then edged Windsor 6-5 in nine innings. Windsor led 5-3 with runners on second and third and two out in the bottom of the seventh. Naylor drove a ball into right to tie the game forcing extra innings. Mississauga North won when a walk-off walk to Hammond scored Josh Blanchard for the win. Jenkins was 2-for-3 with a double in the second inning and singled in the fourth inning, Kuo had a pair of hits, as did Naylor and Buckle. Douglas gave up two hits, walked one and struck out seven during his 3 2/3 scoreless innings of work. Then, Sawan Bhatnagar pitched 5 2/3 innings in a 5-2 win over Pickering/Ajax striking out six. Bhatnagar allowed two earned runs on five hits and one walk over 5 2/3 innings. They scored on a fly ball by Naylor in the first, two more in the third on a Naylor triple, a fly ball and a Wilcox single. Four games that the Tigers won by lopsided margins: 11-1 win over Guelph, 20-1 victory against London in their opening games on Friday and 15-1 in the semi final against Pickering. Buckle was 3-for-3 with two RBIs as Mississauga North thumped Pickering 15-1, thanks to five runs in the first three innings. Kuo, Jenkins and Hill all had two hits and drove in a run, while Jordan, who pitched the win, also had two hits. Jordan pitched five innings fanning seven.